Want to cook something new or delicious? But you don’t know how to cook, where to collect cooking ingredients or how to organize them? Don’t worry; your smartphone can help you to be a better cooker. 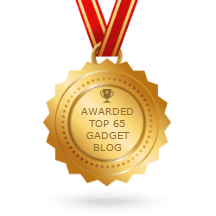 You can do many things with your Android phone or tablet and get help for cooking is one of them. 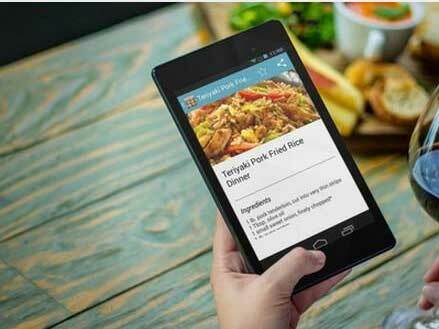 Just find some best Recipe Apps for Android; download and install them on your phone or tablet. They will guide you to cook delicious snacks. When you search for recipe app on the web, you will find thousands of recipe apps where some are free, and some are premium. 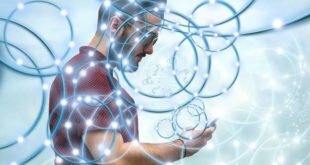 After spending some hours on researching recipe apps for Android, I find some Free Recipe Apps for Android that will really work great and will help to cook a lot of foods easily and quickly. So let’s have a look at these best and free recipe apps on bellow. Want to make your breakfast or dinner within a short period with simple ingredients? Then the All Recipes Free is one of the perfect recipe apps for you. You will find all ingredients available and inexpensive of this recipe app. This app will guide you how to cook quickly, make some delicious foods as well as healthy. 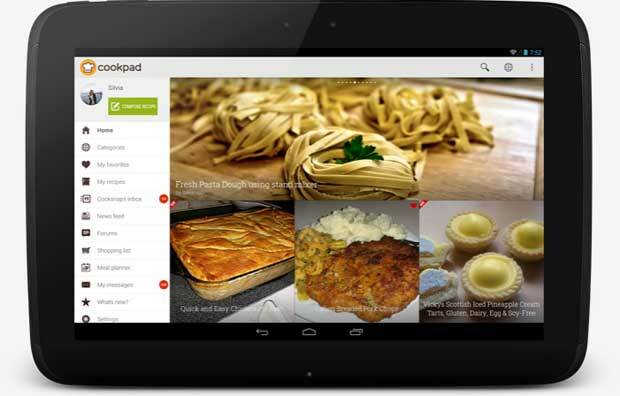 The Cookpad Recipes is one of the most popular and Free Recipe App for Android that you can use to get and share the recipe with images. 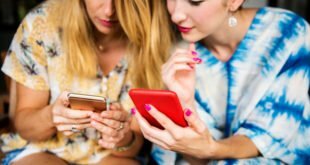 This is a community app where people can share their own recipe, so this one of the large platform to find the new and hot recipe. You can also ask any cooking related question and will find the answer within a short period. Need a Recipe Apps with more than 350K recipes? Then download BigOven right now. More than 11 million people download this app to get the new and the savory recipe for free. 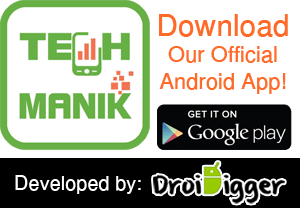 This app will help you to find the perfect meal for the perfect person and also help to organize your home or office kitchen. 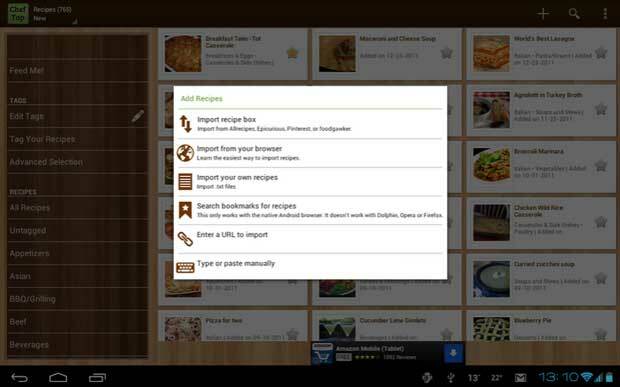 You can also save and organize your personal recipe with this app. The ChefTap Recipe App is another great and Free Recipe App for Android that will help to import recipes from any recipes website. You can create and save your own recipe from any English language recipe website for free. Search millions of recipe on the web with ChefTap Recipe App. Short recipe by new, recently used ingredients, etc. 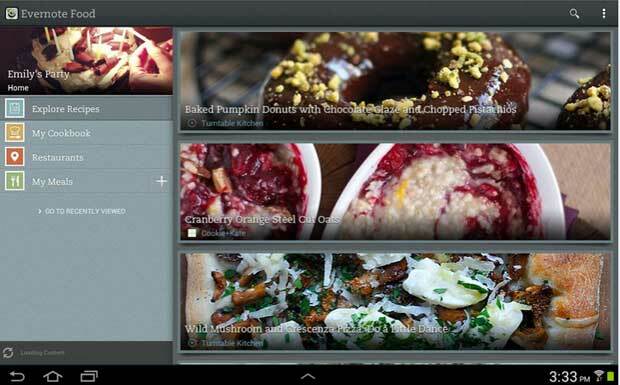 The Evernote Food is a great and best recipe app for Android that will help you to save your favorite recipe. You can also discover new recipe that will help you to cook new and tasty food easily and quickly. 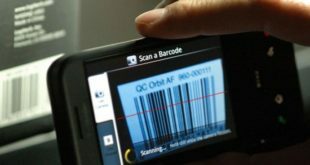 With this app, you can also search recipe on the web and save here. Add or edit recipes with images.